We already deliver a great customer experience. Why would we need to use Experience Boutique? According to a study by Bain & Company, 80% of CEOs believe they deliver a superior customer experience, but only 8% of their customers agree. Experience Boutique provides unbiased feedback from outside your organisation. We aim to close the gap between the intended and the actual customer experience that your staff provide. We already have a comprehensive training programme for our staff. Why would we want to work with Experience Boutique? Experience Boutique’s mystery shopping programme helps to keep your staff accountable for the training that they have received. It creates an atmosphere of ongoing improvement and achievement within your organisation. Just like an athlete that has to continuously train in order to maintain his form, the skills that are learnt during training need to be constantly refined. 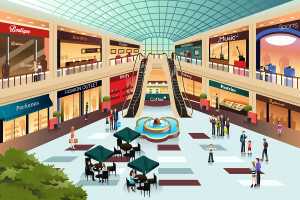 What is the history of mystery shopping? Mystery shopping was originally used as an investigative tool to uncover dishonest cash handling activity among staff members. The companies who were offering this service began to include value-added observations regarding safety, environment and customer service. Mystery shoppers are expert observers who are able to capture the customer experience in fine detail. What sort of businesses do you mystery shop? We work with any business that has customer facing staff. The staff to customer contact may be via telephone, email, web chat or face to face. What do you mean by ‘brand consistency’? It is important that each store and each employee maintains the high standards of your brand. It only takes one poor experience for a brand’s image to suffer. How often should be run a mystery shopping programme? Most organisations choose to run the programme on a monthly basis. This gives the staff the chance to review the previous month’s results and to set an action plan for the following month. If the program is run on a less frequent basis, it is still useful, but it can lose momentum. Staff training is like an athlete perfecting his form. It needs to be ongoing, rather than a one off exercise. When will we receive the reports from each shop? We will provide you with the results for each shop within 48 hours of the visit / call taking place. I have another question. How can I get in touch? You will find contact details for Experience Boutique here.